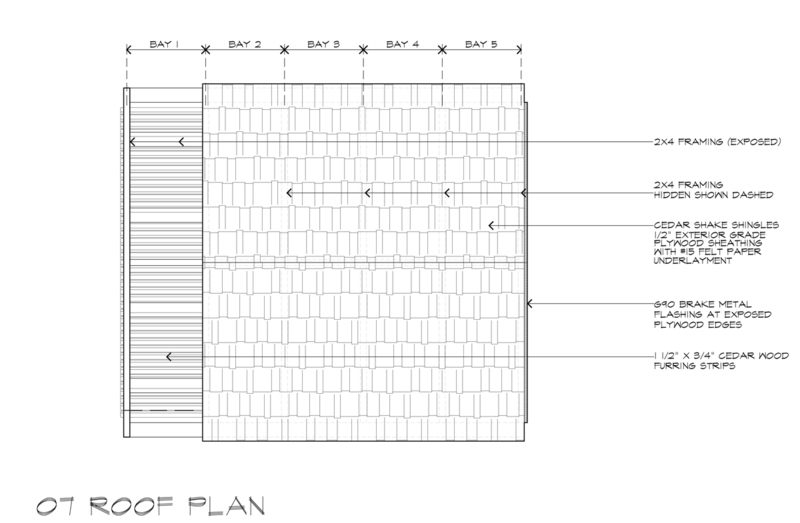 Construction drawings are the things that turn ideas into actualities and trying to create drawings that demonstrate the vision and intended level of craft is a conscious effort on my part. That may sound incredibly stupid – so be it. 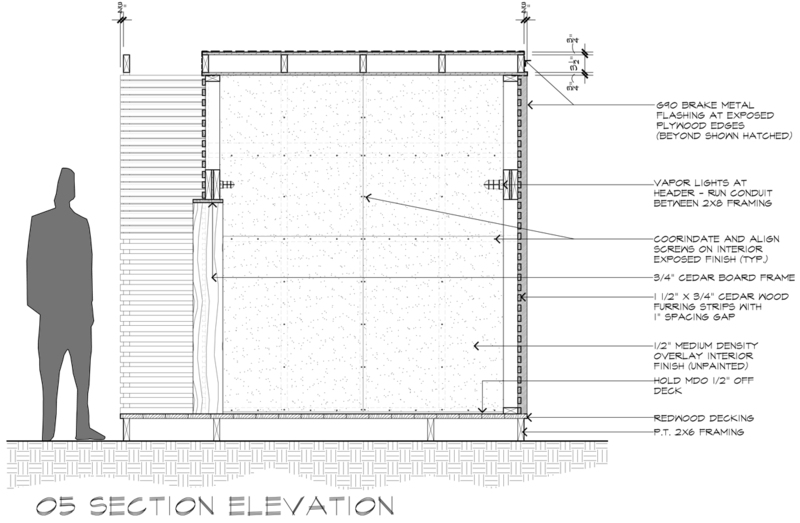 I like to think that I am pretty good at preparing construction drawings that read well … I spend time time and effort making my drawings look like I spent time and effort on them. 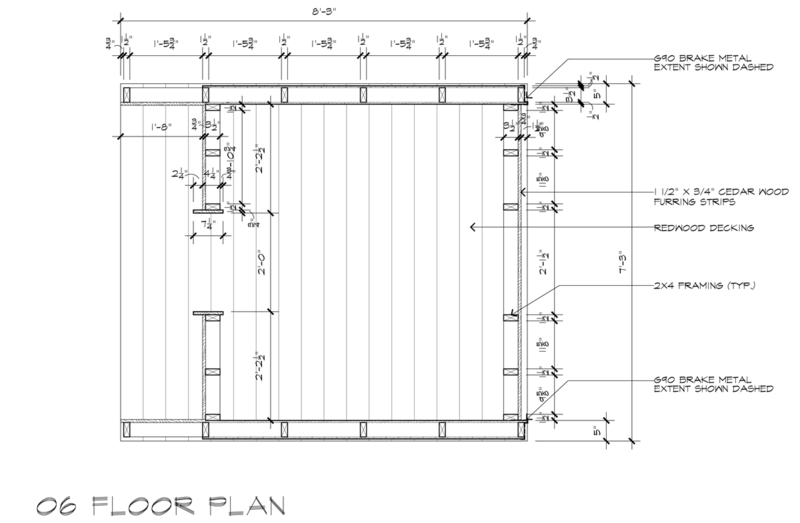 If the drawings convey my effort, I think the contractor will realize that and their efforts will reflect that observation with a commensurate level of effort. BufordHawthorne Homebuilders have built a playhouse for me that I have personally designed every single year since I’ve started creating these playhouses and it has been a terrific relationship. They get what I am trying to do, the same guys tend to work on these playhouses every year, and they consistently demonstrate ownership and sound decision-making throughout the break-neck speed at which these playhouses get built. 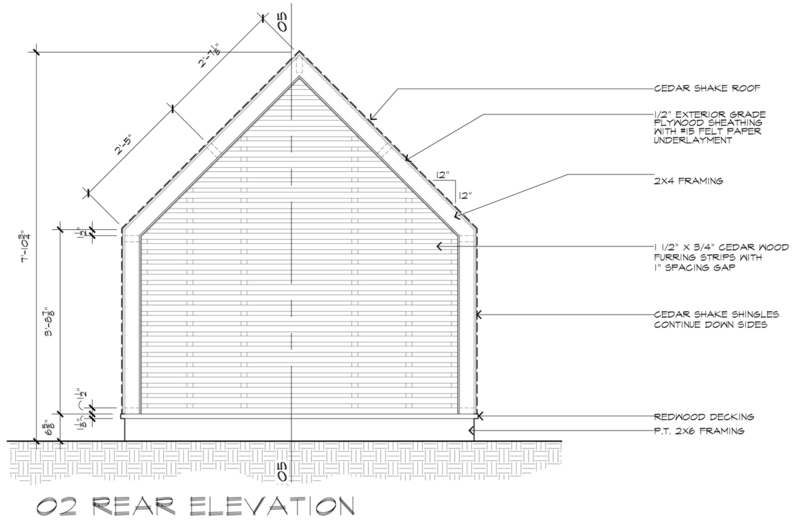 I have shared the construction drawings for every playhouse I have ever designed … for FREE. All you have to do is take them down off the website here and you are good to go. Each one of these drawings can be clicked upon and a new window will pop up with the drawings twice as large as you see them here. I get a lot of requests for people to email me the drawings because they can’t read the dimensions in the smaller images – no worries where that is concerned this year. There is a pattern starting to emerge from the playhouses I design, I think I should come out and admit some of what I’m thinking about and why. 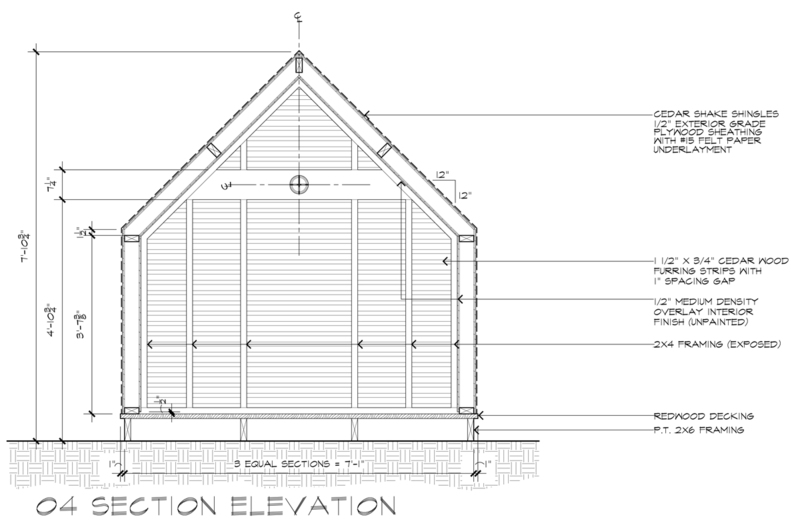 These playhouses aren’t cheap to build … I mean, they’re cheap for me because all I have to do is come in and work a few weekends, swing by the job site, answer some questions and I’m golden. The real cost is carried by the contractor and since Buford|Hawthorne has never asked me for a favor, since they’ve never made me beg to have them build my playhouse, and since they always raise their hands when playhouse time comes every year, I feel like I owe it to them to not design a playhouse that costs $20k to build. I consider it part of the design challenge to design something that I can get built that has value and beautiful aesthetics – something that I would want in my own backyard – without having to ask the contractor to break the bank open to help me help Dallas CASA. It needs to serve multiple purposes – once the kids are done treating this as a play space, I want the playhouse to continue to have some sort of value. It’s Texas … it’s hot here. I really want there to be some air moving through this playhouse – as a parent, I don’t want my kid and her friends playing in ‘the box’ like the kind ‘Cool Hand Luke‘ seemed to spend so much time in. It needs to look good in my backyard. Seems a bit self-serving but since I like to design using a narrative, I am putting myself into the role of future playhouse owner and I want whatever playhouse I design to be something I think I would enjoy looking at for a while. It needs to be built on a budget. I hope I made my reasons clear on this one already, I don’t want this to be a burden on the contractor. Doing a $5,000 playhouse every year is way better than doing one $20,000 playhouse. The Lantern House is pretty simple really – traditional childlike shape, one outside that is wrapped in cedar shakes and the inner shape clad in medium density overlay, with the two ends define by a series of consistent slats to let air move through the playhouse. Some well placed lights will let the inside glow at night – which should be pretty dynamic, especially when viewed from a distance. One of the details I copy every year is the deck that I set my playhouses on. It makes them easier to move – both during and after construction, but it also works better for the lucky family who will eventually own this playhouse. Having the deck allows the playhouse to sit above the ground and allows the yard to come right up to the edge – they can weed whack to their heart’s content without damaging the actual playhouse. Simple, yet considered – the hallmark of any decent design in my opinion. 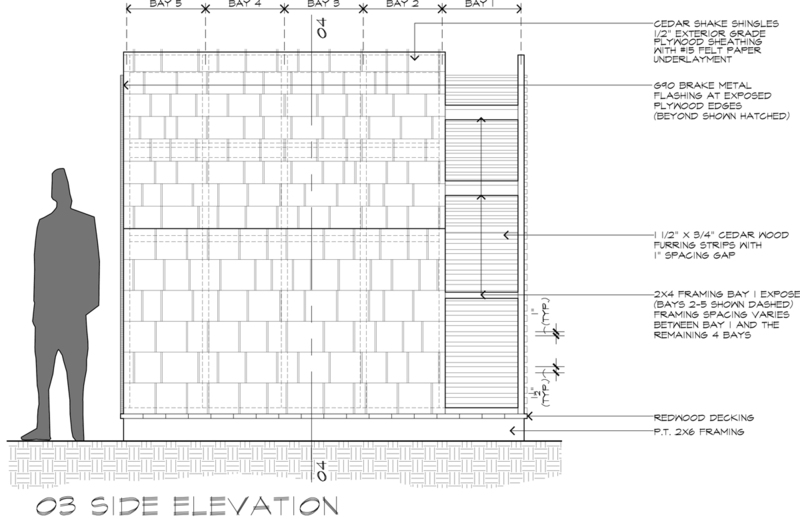 Let’s say you have a slatted wall that is sitting 5′ in front of a solid wall. In order to have the light look like it’s coming through the slats, you put the light on the slatted wall and illuminate the solid wall. The result is that you are looking through the slats at the lit wall rather than the other way around. 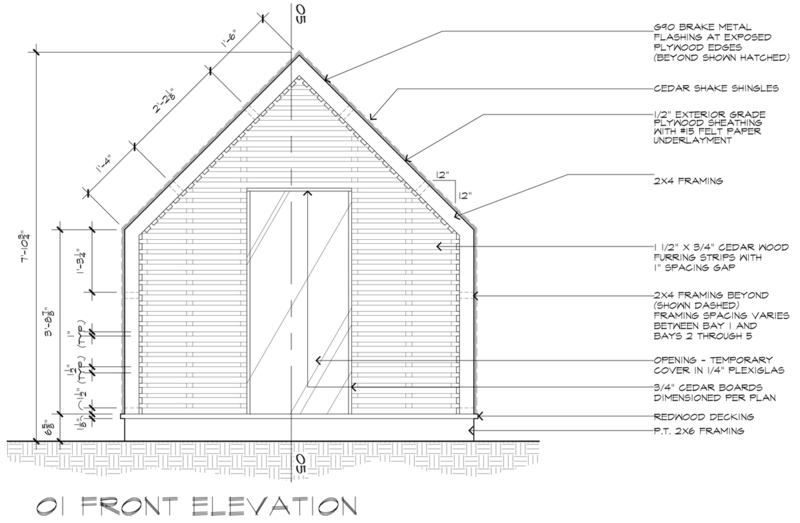 So this is the Lantern House … simple and straight-forward but it will meet all my requirements. I twill require my contractor to pay attention to what he is doing because there isn’t a lot of bells and whistles to distract you from bad craftsmanship and poor construction sequencing. It will get the same amount of attention as my other rejects – which is a lot. In the week that this playhouse will take to build, I will visit it daily. Maybe I need to take some next year off so that I can focus on the playhouse competition and recharge my playhouse design batteries. I have loads of ideas on different playhouses but I always seem to start paring things down until I am left with a design that is more designed by the way it is built. I’ll admit that this diminishing process doesn’t always lend i itself to my most awesome playhouse, but I suppose the functionalist in me thinks that this playhouse is what you make it to be – which is lame. I will have to dress up the interior when it’s all said and done to make it more alluring to the kiddos, but that’s okay. We are all in this together.